A few years back my mother, a Professor and Head of Department at the Wits Faculty of Social Work, was forced to retire at age 65. Despite being very good at her job and showing no signs of mental or physical deterioration with age, she was stripped of her professorship and all that she could still do for the department, simply because she hit 65. In today’s day and age, is retirement at age 65 not an archaic concept that needs to be put to rest? Firstly, what are the legalities and norms around retirement age? In many countries, the standard retirement age is 65 for men and women. In some countries, women retire younger: take a look at Austria (age 60) and Switzerland (age 64). However, is this retirement mandatory or simply the norm? Mandatory retirement is the age when industry custom or law forces people with particular jobs to leave their positions, or retire. Why? The argument is that specific professions are either too dangerous (for example police and military staff), or they demand high levels of physical and mental ability (such as air traffic controllers and airline pilots). This seems fair. After all, how effective is a seventy-year-old policeman who couldn’t chase a criminal on foot because he or she needs a cane just to walk? Or what about an octogenarian neurosurgeon whose eyesight is failing? I wouldn’t feel comfortable with them working on my car, let alone operating on my brain. Imminent retirements make it critical to rotate people. This prevents retirement from leaving a gaping void of experience in the company. In a friend’s case, their organisation’s chief operations officer Ted was already missing a lot, he didn’t mentor any of the young staff and his health was failing. Because the company had regularly rotated staff across different roles and departments, they had an experienced in-house replacement who could hit the ground running very soon after stepping into Ted’s job. The problem arises with the controversial issue of productivity. In many situations, our productivity drops considerably after age 65. So think of mandatory retirement as the employer’s way of preventing a decline in productivity and its impact on the bottom line. However, consider the scenario where you work in a sedentary job that isn’t dangerous, nor does it take a high degree of physical or mental skill, and you’re still healthy at age 65. Is it fair for employers to blanketly assume that the productivity of all workers in the company drops on the day they hit their 65th birthdays? Also, the age of forced retirement is often rather subjective and is not based upon an actual physical assessment of an individual worker. So this could amount to discrimination based on age. For this very reason, many countries such as the US, Canada and Australia label forced retirement as unlawful. What is the position in South Africa? Your employment contract requires you to retire at a specific age. You have agreed with your employer on a retirement age or there is a company standard. There is no mention of retirement in your contract, nor is there an agreement with your employer on this issue. If you sign an employment agreement that specifies a retirement age, then your employer can legally force you to retire when you reach that age. However, the world is changing. With enormous advances in modern medicine, nowadays we tend to live a lot longer. Worldwide in 2010, the average life expectancy at birth was 68 years, with countries like Japan, Australia and Canada coming in at 80-plus, the UK at 80 and the US at 78. Compare this to the Classical Roman era, when average life expectancy at birth was a mere 28 years and in the early 20th Century, when it was 31 years. Why the increase? It is mostly due to public health measures. During the 20th century, the average lifespan in the US rose by over 30 years, of which 25 years is due to improvements in public health. On the other hand, life expectancy does differ dramatically from country to country. This is mostly caused by differences in public health, medical care and diet. Higher death rates in poorer nations are largely the result of war, starvation and disease (such as AIDS, Malaria, etc.). In many African countries, AIDS has a devastating effect on life expectancy. Looking at UN data, South Africa’s life expectancy at birth for 2010–2015 would have been 70 years (if HIV/AIDS did not exist). Instead, the realistic estimate is 42, taking HIV/AIDS into account. Over the last 200 years, countries with African populations have typically not had the same increases in mortality rates as populations of Asian, Latin American or European descent. However, if HIV/AIDS were not a factor, it’s fair to say we would be living longer than our ancestors. This would mean we’d spend more years of our lives being over 65. Also, with the costs of living climbing, fewer of us can afford to stop working. Working beyond the traditional retirement age is a necessity, in many cases, and no longer a choice. Just look at Singapore. Based on recent research by the HSBC, despite having one of the highest per capita incomes worldwide, many Singaporeans face the very real prospect of their savings running dry almost halfway through retirement. The cause? The high cost of living and greater life expectancy. To aggravate matters, in countries like the US, there has been a significant drop in retirement savings. However, if more and more older employees weren’t able to work due to forced retirement (at age 65 for example), middle-aged and younger people would have to subsidise a growing segment of society. This brings with it even bigger issues. 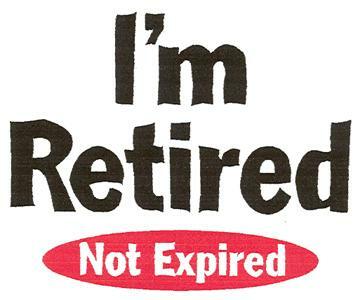 So if the world is changing, the norm of retirement age at 65 needs to change with it. On the other hand, there is a widespread view that when cash-strapped baby boomers retire later, recent graduates with little or no work experience will find it even harder to get jobs. This is the “lump of labour” theory, where older and younger workers compete for a finite number of jobs. Is this a valid argument? Yes, for low-skilled jobs like waiters, fast-food workers, and supermarket baggers. However for higher-skilled jobs, most economists agree that 20-somethings would not find it easier to enter the workforce if older workers retired sooner. On the contrary, a greater number of older workers in the labour force actually boosts young workers’ prospects. So says a new report by The Pew Charitable Trusts’ Economic Mobility Project. This study, called “” showed that the lump of labour theory did not hold true in the US during the Great Recession. “Every which way that it was analysed, the authors found that […] when older workers are employed at higher rates, the young workers are also employed at higher rates,” said project research manager Diana Elliott. A 1% upsurge in the employment rate of baby boomers over age 55 was correlated with a 0.28% rise in the youth hourly wage rate, according to the Pew research. And the reason is this: baby boomers create jobs. Not only do older workers create jobs but they also bring vast amounts of experience and skill to the workplace. Also, because they usually need the income and have fewer alternatives, they are less likely to leave and they are often willing to take a pay cut. For professions that aren’t dangerous or don’t require high levels of physical or mental skill, here’s my suggestion: how about having both employer and worker agreeing contractually to review the retirement age issue one year before the employee reaches the normal retirement age, say 65? Then, based on the assessment of that worker’s physical and mental condition and their health at that point in time (age 64 in this example), both employer and worker agree on whether the worker should retire at age 65, or be allowed to stay on and work. So what’s important is that each employee and their performance is looked at individually, rather than as an arbitrary number or as a company norm. At worst, give good people the choice to consult back to the company after age 65, and to mentor the new blood coming up through the ranks. It all comes down to ability and looking at each case on its individual merits. If the worker is becoming poor at their job, then compulsory retirement at age 65 is a gentle way of getting rid of them. However if their performance isn’t declining, and they are still good at what they do, they shouldn’t be forced to give up their job.